The 12th season of “Supernatural” has been pretty crazy so far. 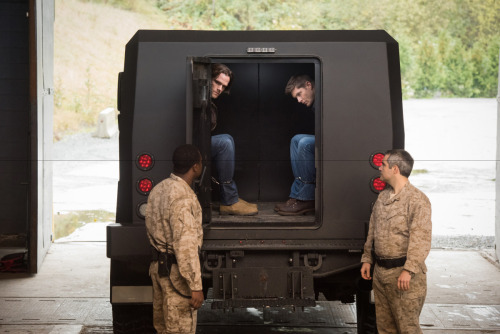 Mary’s back, the British Men of Letters has been causing a headache for the Winchesters, and the boys are… under arrest for allegedly attempting to assassinate the POTUS – who just happened to be possessed by Lucifer at the time….. What? Oh, it’s just an average day in the life of a Winchester. Well, most of the Winchesters. Life’s been anything but average for Mary. Feeling out of sync with her two (grown!) sons and even more out of place with the technology of the modern world, Mary’s struggling to find her footing. After taking a few steps back and regrouping, Mary seems to be doing a lot better than when she first appeared on the scene. By the end of the season Mary should be good to go – if she survives the looming fight with the British Men of Letters. The British Men of Letters have become a thorn in the Winchester’s side. After Lady Toni Bevell (Elizabeth Blackmore) went rogue and tortured Sam, Mick Davies (Adam Fergus) entered the scene in an attempt to do damage control. 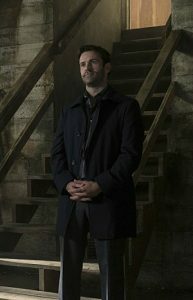 But not before calling in cleaner Arthur Ketch (David Haydn-Jones ) who’s done a bit of cleaning up after the Winchesters. Though Mick says the British Men of Letters can be trusted, the Winchesters aren’t so sure. 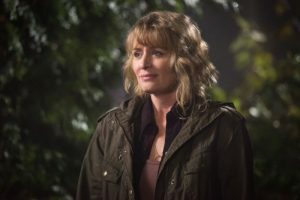 With Sam and Dean currently in a jail cell after threatening to assassinate the POTUS (David Chisum), it’s up to Cas, Crowley, and Mary to hold the fort down. How will the boys get out of this scrape? I guess we’ll see tonight when “Supernatural” returns at its all new time 8/7 CST on the CW. All photos courtesy of the CW.